I don’t know about you, but I love easy side dishes. I also love warm dishes in the cold of winter. And I love dishes you simply prepare and pop in the oven and wait for the timer to go off (I mean, who doesn’t?!). Which is why my ‘go-to’ side dish is always corn casserole. Well, that and I am often times asked to bring this side dish to family gatherings. It’s super simple and goes great with any main dish. We actually love it with turkey, ham, or beef. But, I sometimes serve it with beef enchiladas. I don’t know why, but corn with a Mexican dish always sounds just right! My grams shared this recipe with me years ago and I hope you enjoy it as much as I do! Preheat the over to 350. Mix everything but the butter together. Pour into a 9×13 dish. Thinly slice the butter and place on top of the casserole. Bake in the oven for about 60 minutes. Look for a golden brown finish along the edge when it’s all finished. You are going to love it Konnie!! 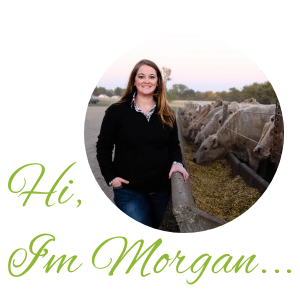 Just found your blog today after googling farmwife blogs.. I’m a city girl-turned rural from IN. 2 of my roomies at Ball State were from Morgan Co area! Small world. 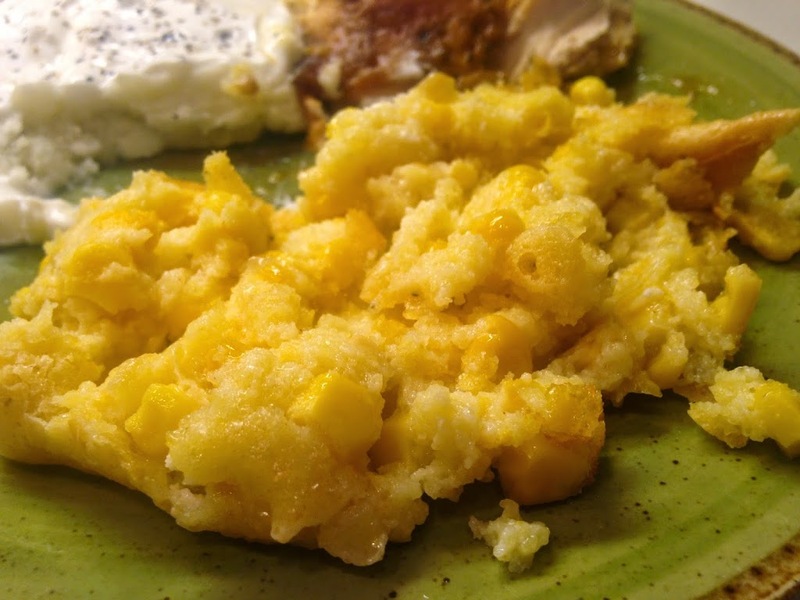 WE haven’t had corn casserole in ages, and my hubby loves it – adding it to the week’s meal plan now – thanks for the reminder! I’ll be checking back on your blog. Such a small, small world! So glad you stumbled on my blog- and I can’t wait to check out yours!